The George Rodrigue Foundation of the Arts and the artist’s family are pleased to participate in the inaugural Rosemary Beach Sculpture Exhibition with an original three-dimensional artwork by George Rodrigue. 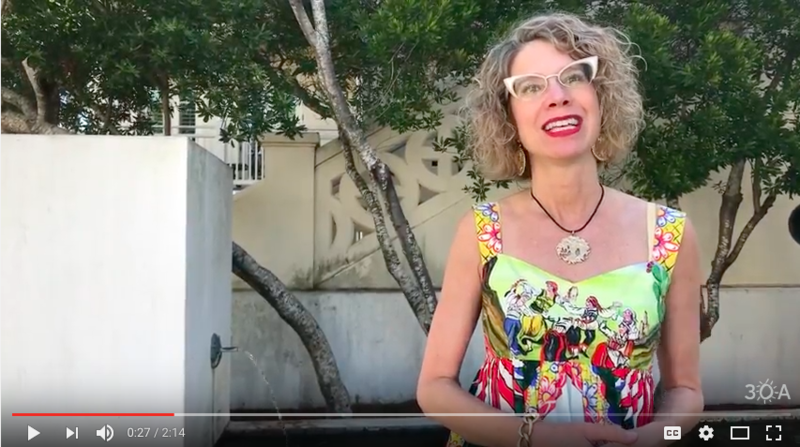 Learn the history behind this important and unique contemporary sculpture in a short, illuminating audio from Wendy Rodrigue, linked here. 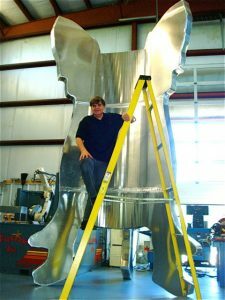 George Rodrigue with his unfinished sculpture at Begneaud Manufacturing in Lafayette, Louisiana. 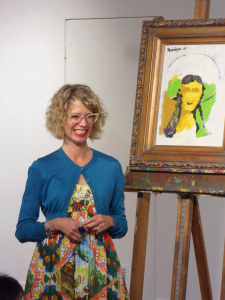 Wendy Rodrigue, George Rodrigue’s wife of twenty years, gives a lively, heartfelt and educational presentation, sharing artwork from her personal collection, and her love for the art and life of George Rodrigue. Tickets are $8.00/person at the door, or purchase in advance. 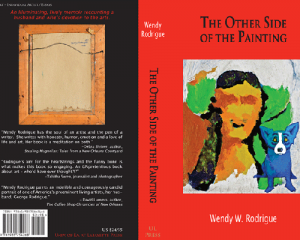 In her book The Other Side of the Painting, Wendy Rodrigue addresses in detail the early history of Rodrigue’s Blue Dog, along with analyses and quotes from the artist describing some of his most famous Cajun and Blue Dog works. The book weaves Rodrigue’s New Iberia, Louisiana, childhood with Wendy’s in Fort Walton Beach, Florida, revealing both as rooted in the arts, yet products of 1950s and 1970s parents and society. Dr. Christopher and Cindy Cenac, Sr.